Posted February 4, 2016 by Andrew Curnow & filed under Episodes. 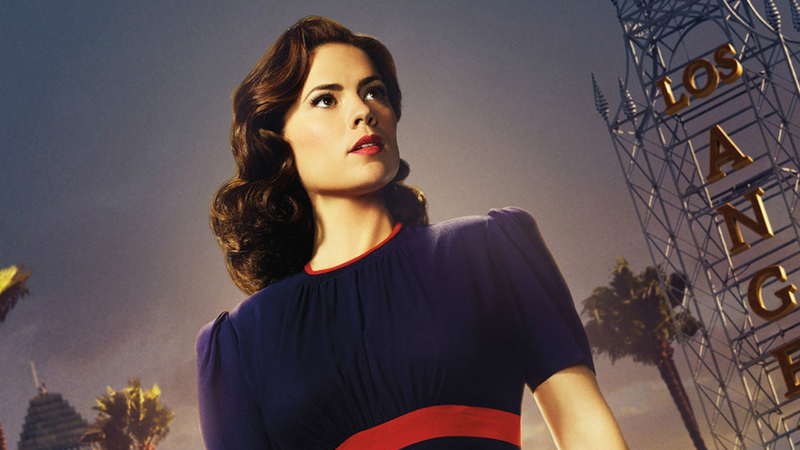 By the end of the first season, Agent Carter had finally come to terms with the loss of Captain America, so it’s entirely understandable that this year she should be getting back into the dating game. Unfortunately her first date with Dr Jason Wilkes begins with him risking his career and livelihood simply by speaking to her, and goes rapidly downhill from there. Barring a brief kiss in a phone booth, it’s an evening full of running, hiding, and being shot at, which ends with Dr Wilkes disappearing amidst the accidental release of a destructive form of extra-dimensional ‘zero matter’ totally unknown to conventional science. By anybody’s standards it’s not a good date, and it would be a real shame if it put Peggy off the whole thing. Elsewhere in the romance stakes things seem to be running at least a little smoother with Sousa. This week we get more than a brief glimpse through an upstairs window, and actually meet his girlfriend. Girlfriend – and soon to be fiancée, if he ever gets the chance to deploy the engagement ring Peggy finds in his jacket. Violet (Sarah Bolger) seems almost too good to be true: she’s smart, she’s independent, she’s pretty, she even bakes… Given how this show likes to pull the rug out from under her feet, and given that we’re only two episodes in, maybe it’ll turn out that she is too good to be true. A more certain pairing is the increasingly-delightful Mr & Mrs Jarvis. 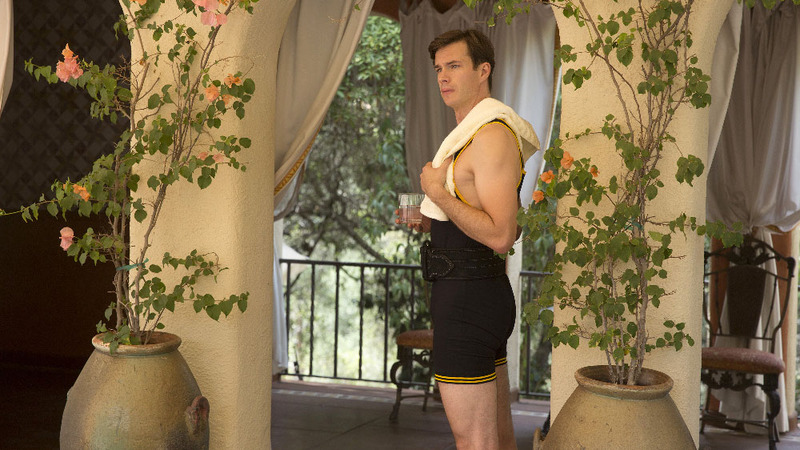 James D’Arcy starts this week exercising in some skimpy (for him) sportswear, no doubt setting the hearts of at least half the audience a-flutter; and with superb timing he has Peggy pinned to the floor… just as his wife appears. What makes it all the better is the complete lack of jealousy. “Did he catch you with his patented tortoise of fury?” is Mrs Jarvis’ only comment, assessing her beloved’s technique with clearly no need to worry over his loyalty. Whereas last year Peggy had just one real ally, she now has two. When she calls for assistance later in the episode, it is Edwin who goes out into the night to help her and Ana who is there when she gets home to comfort her at the loss of Dr Wilkes. Romance isn’t just for the good guys though, oh no, and this week we see a lot more of Whitney Frost, and her husband, Isodyne CEO Calvin Chadwick. Last week’s brief and frosty exchange between them, in respect of his infidelity, suggested little more than a marriage of appearance. Agent Carter is a show with layers upon layers though, and perhaps in a ‘power behind the power behind the throne’ kind of a way this week we get out first glimpse of what is presumably this season’s ‘big bad’. This time out it’s not those darned Soviets but rather a shadowy Council of Americans meeting in secret to decide the country’s fate and destiny. Shutting down Isodyne Energy this week is clearly small beer to this lot, compared to “the crash [of 1929] that Tom had the vision to orchestrate”. We don’t yet know who these shadowy figures are, but we do know that they identify themselves with a lapel pin… the same pin that Dotty was trying to steal right at the top of episode one last week. As I say, layers upon layers. Actually, that’s not quite true – we do know who at least two of these shadowy figures are. They’re Wolowitz’s Father-in-Law (Casey Sander from The Big Bang Theory) and Leland Palmer (Ray Wise from Twin Peaks). Powerful foes indeed, Agent Carter – you’d better be careful. Aired at 9pm on Thursday 4 February 2016 on FOX. > Buy Season 1 of Agent Carter on DVD on Amazon.